CTE or Chronic Traumatic Encephalopathy is something we can not diagnose in living patients at this time. We can measure markers or indicators. Joe D joins the podcast to share his story of living with the markers of CTE. He shares some of his stories and experiences as he is learning to deal with the disease. He also claims to never have missed a practice or game from junior high forward. I normally give a way to contact the guest, but Joe said he does not even own a computer. Who brought you these interviews? Thanks DragonFly MAX for your hospitality. 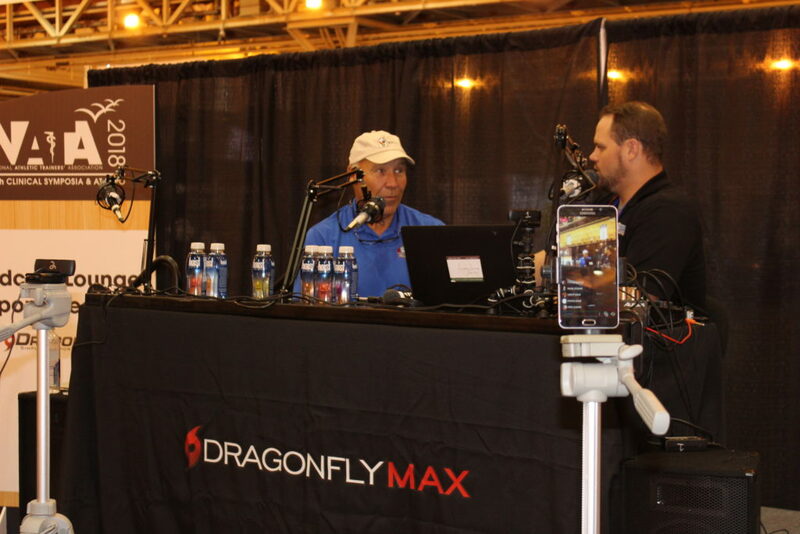 This entry was posted in Podcast, Podcast Lounge and tagged #NATAExpo, Buffalo Bills, Hall Of Fame, Joe D, NATA, nata 2018, NATA2018, natatag, New Orleans, NFL, OJ Simpson, Podcast Lounge on January 25, 2019 by Host of The SMB.